In Brave Rocky game your mission is to protect your kingdom from monster attacks. Protect your royal gates from monsters attack and continue to fight till your death. 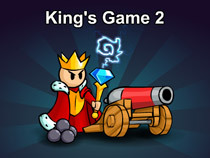 Complete 24 levels, collect coins and buy upgrades weapons from the shop.